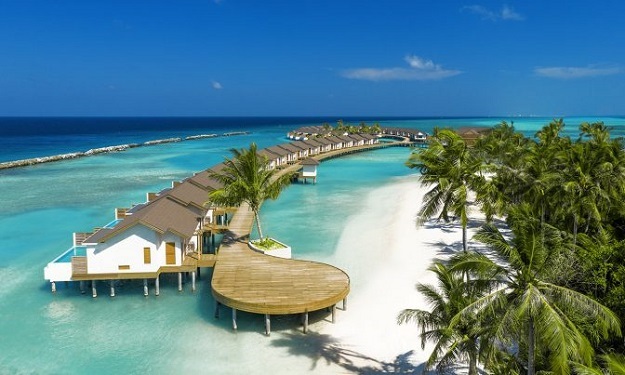 The Sun Siyam Irufushi beach and spa resort Maldives hotel is an 85 acres wondrous beauty nestled amidst by tropical gardens and surrounded by vast pristine Turquoise lagoons. 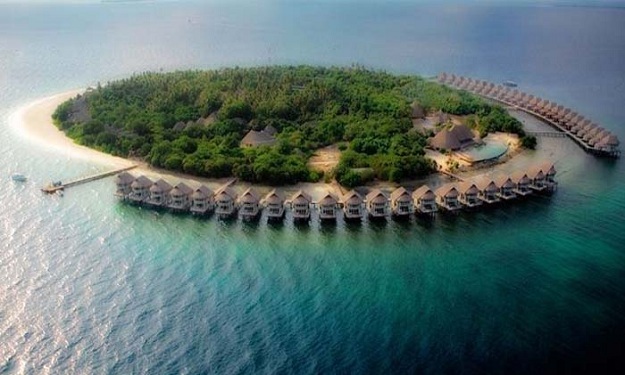 The resort is located on a harmonic serene area of Maldives seas. 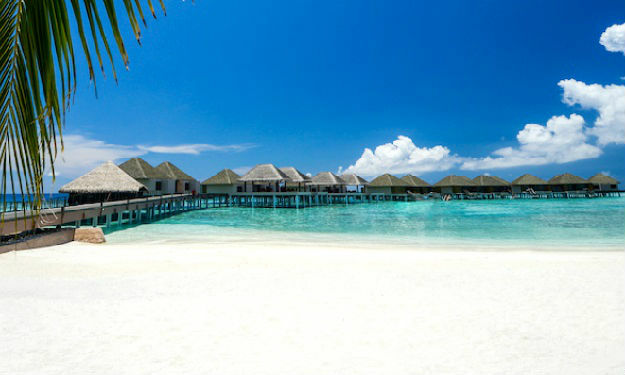 This Perfect Maldives honeymoon vacations spot at Maldives will engulf your idea of perfect Maldives family vacations. 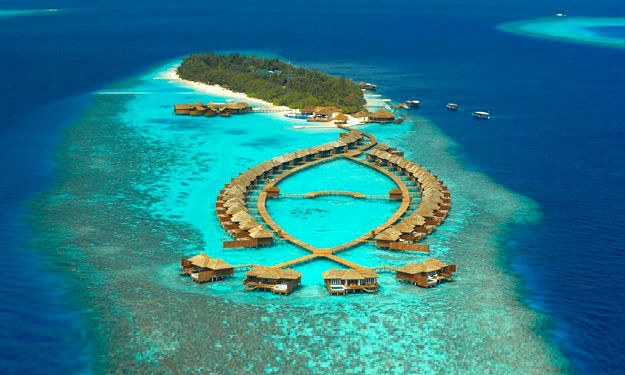 The tropical wonder is one of the best Maldives resort. 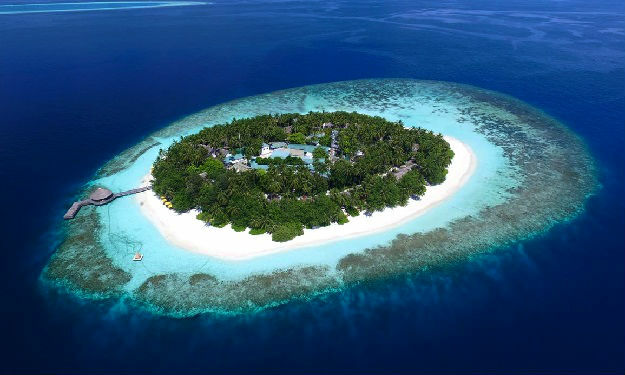 Irufushi offers you a great escape from the real life to your far best beyond imaginable stay at one of the finest resorts in Maldives. 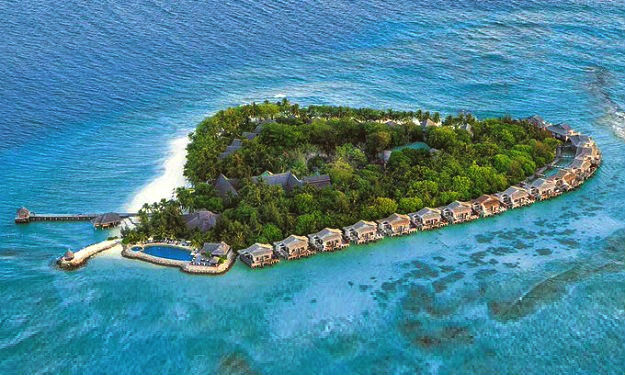 For guests seeking an island hideaway, individual Beach Villas are nestled within the island’s natural vegetation, sufficiently secluded from the beach to ensure privacy, although close enough to catch shimmering glimpses of the lagoon. 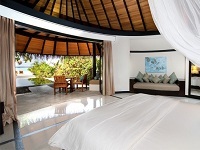 The front terrace is the place to relax in the oversized day bed in the refreshing Indian Ocean breeze. 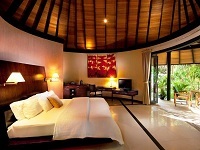 The bedroom, a large open space with high ceiling and an additional day bed provides the perfect sanctuary. The open air bathroom is set in its own enclosed private courtyard offering an i-spa bath (bathtub with water jets and iPod connection), an extensive sundeck with sun loungers, a large gazebo and two rain showers. 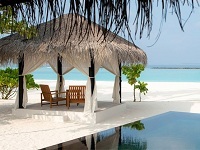 Similar to Beach Villas with an additional sala (gazebo) on the beachfront, ideal for lazing the day away. Pool Beach Villas – The Pool Beach Villas are similar to the Deluxe Beach Villas and offer an abundance of space to relax, play or sleep. The living room, with its high ceiling and day bed is the perfect place to unwind, whilst in the secluded courtyard bathroom, a private lava stone pool gives a taste of al-fresco living. 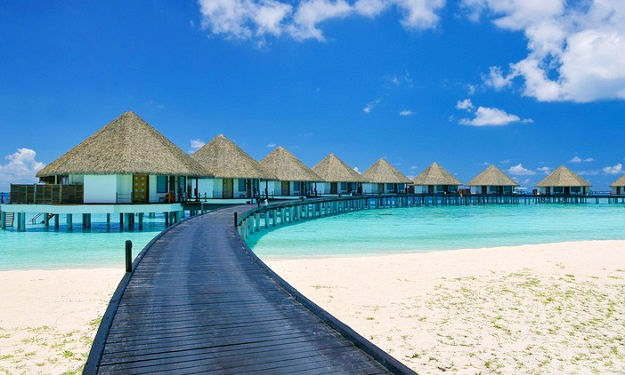 The sunrise deluxe beach villas are on the sunny side of the island and very close to the shores of the Indian Ocean and the white sandy beaches of the resort. A large gazebo is situated in the private and temperate garden for outdoor dining, relaxing or socializing. The informal terrace leads in to a large open plan bedroom with elevated ceilings that give a sense of calm. A substantial open air bathroom and seating area contains two rain showers and a spa bath. Guaranteed sunrise each morning. 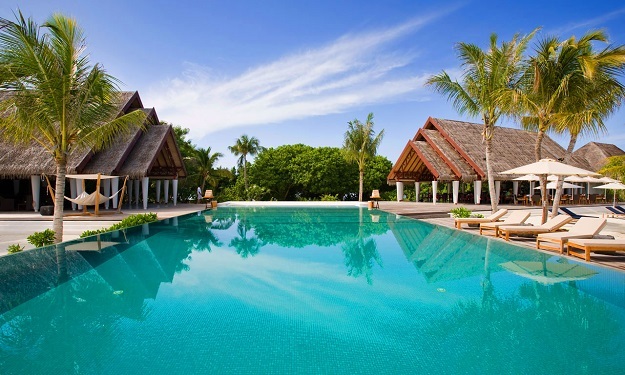 The deluxe beach villas with pool are overlooking the shores of the Indian Ocean and the white sandy beaches of the resort. A large gazebo is situated in the temperate garden for outdoor dining, relaxing or socializing. A large private swimming pool is the perfect place to while away hours in the sunshine, keep cool or to relax in under the twinkling stars at night. An informal terrace leads in to a large open plan bedroom with elevated ceilings that give a sense of calm. A substantial open air bathroom and seating area contains two rain showers and a spa bath. A beach facing villa that you will never want to leave with extensive gardens gently sloping towards the sea shore with generous outside dining facilities and jumbo sized seating areas for entertaining and relaxing. A bright and sunlit sitting room is the focus of this room with large and comfortable furniture for lounging around during the day with a good book or movie, an ideal second bedroom for families. A large double bedroom leads to a substantial courtyard bathroom with its very own back lava stone pool, rain showers and an spa bath. Al fresco living at its best. 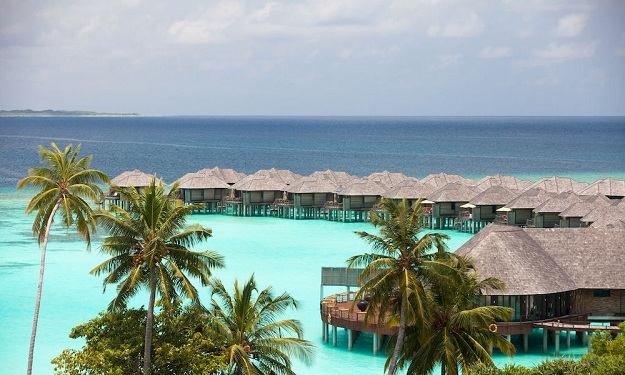 The Water Villas are perched on stilts over the clear blue lagoon, offering inspiring views of the Indian Ocean. 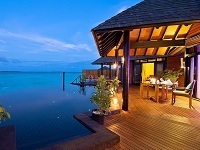 Private sundecks lead into the water and a wonderfully refreshing swim is a mere step from the villa. The en-suite bathroom includes a relaxing i-spa bathtub and looks out to the private deck and lagoon whilst the shower has views of the crystal clear water. 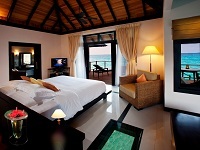 The villa has a wealth of day beds and couches to relax on as well as glass floor panels offering glimpses of the ocean. 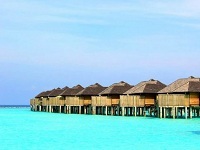 A collection of water villas that reach further out into the lagoon for added privacy. Villas perched on stilts with large deck areas for idling away the day listening to the waves break beneath as you relax on the sun beds or swing. 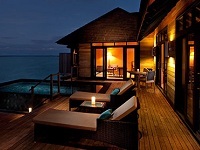 A lavish Jacuzzi sits on the edge of the deck for those that enjoy lazing in the lap of luxury. 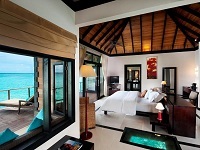 The glass paneled bedroom leads to the partially open air bathroom with rain shower and spa bath. 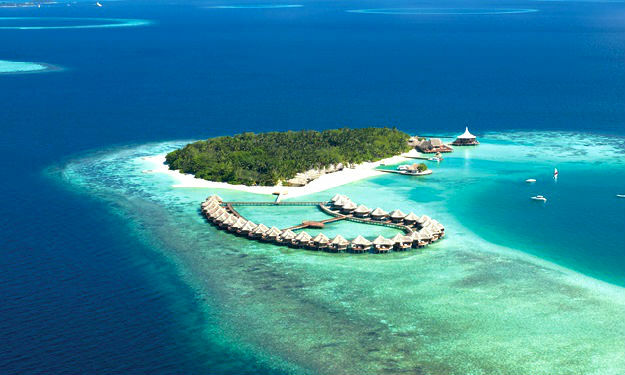 Far out on the jetty with uber amounts of privacy and a guaranteed sunset view, these distinctive villas have uninterrupted views of the beautiful turquoise lagoons and the oceans beyond. Overwater happiness and indulgence equate to large decks, a delightful Jacuzzi and a comfortable seating and lounging area. A large bright bedroom with glass panels inset into the floor for ocean viewing lead to a spacious bathroom complete with rain shower and spa bath. 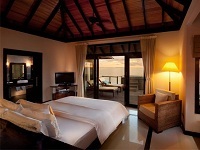 Traditional Maldivian architecture is used to dramatic effect to create a luxurious suite for the discerning traveller. There is an abundance of space and light, the views are simply breathtaking and the lava stone private pool atop the sundeck adds to the overall impression of indulgence. The split level deck boasts a cabana and dining area. The bedroom, bathroom and living room are designed with more than a hint of decadence in mind and the i-spa bathtub is positioned overlooking the private deck and lagoon, along with the shower which has breathtaking views over the sparkling waters. 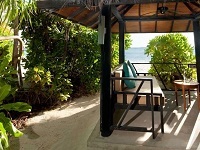 Nestled within the island’s tropical vegetation, the Hidden Retreat offers luxury and seclusion. Totally private, the Hidden Retreat combines spacious interiors with lush exteriors and encompasses two bedrooms and a large living area with stunning views of the landscaped garden courtyard, private pool and gazebo. Open air garden bathrooms feature the lavish i-spa bath and rain shower. The epitome of over water island lifestyle, with sweeping panoramas of the Indian ocean, the Aqua Retreat comprises two en-suite bedrooms, a stunning swimming pool on the sundeck, Jacuzzi, private dining pavilion, along with a spacious lounge with 40” LCD entertainment console. This uber-luxurious retreat is designed for those who prefer to holiday away from other guests and provides a private beach and luxury boat on hand to transfer VIPs to nearby deserted islands or sandbanks. Designed as a private villa over two floors, it boasts three bedrooms with the master bedroom having its own private pool within the enclosedgarden bathroom, three bathrooms, a billiards room, a gym and an enclosed garden with a private swimming pool, sun deck, lawns, water features, lush vegetation and an outdoor dining pavilion where gastronomic delights can be delivered around the clock. The upstairs lounge comes complete with the latest in digital technology. Guests are invited to indulge their inner-diva with treatments from the resort’s Spa in the suite’s own private spa pavilion, ensuring they never need set foot off their own piece of paradise. Each of the twenty one Spa Pavilions are tucked individually within the glorious vegetation ensuring maximum privacy and seclusion and feature twin massage beds, courtyard garden, rain shower and flower bath. The main complex houses hydrotherapy pools, steam, sauna, Jacuzzi, spa boutique, hair & beauty salon and dedicated relaxation areas. Boasting a house reef that is rife with flora and fauna, the unchartered waters of Noonu Atoll is a real treat for the dive enthusiasts seeking new experiences. 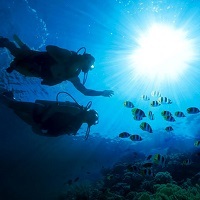 Over 30 dive sites are available to explore within an hour from the island. 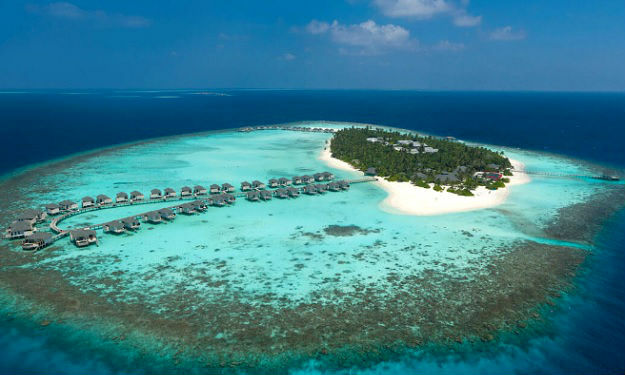 with an abundance of marine life ranging from magnificent manta rays and rare humpback turtles to regal reef sharks and a rich variety of colourful corals. 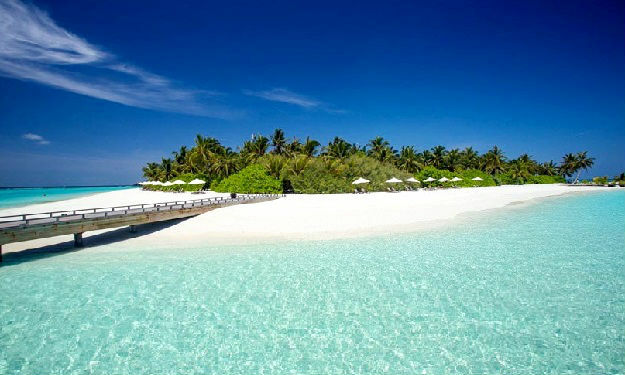 Iru Fushi has a large and reasonably shallow lagoon, ideal for all forms of water sports. 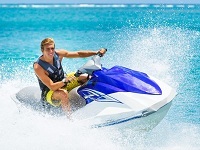 From kayaking to catamaran rides, wind surfing and water skiing, all can be enjoyed. 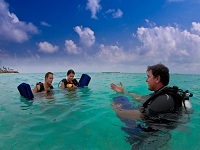 Lessons are also conducted at the water sports school. Explore the beautiful surroundings and take in the wonders of Noonu Atoll.excursions trips offer something for everyone and resort experienced skippers organise a number of daily trips to help you discover the local beauty and nature of the Maldives. 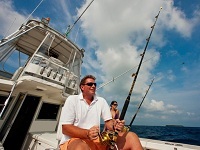 From a relaxing dolphin cruise at sunset with an accompanying glass of champagne, to half and full day big game fishing trips, island hopping and snorkeling safaris. 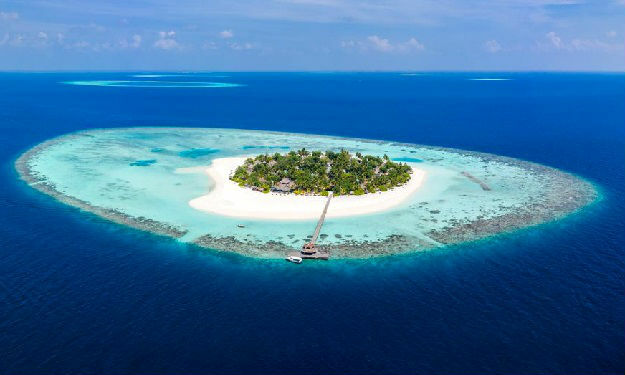 Or for the perfect getaway, why not let us take you to a nearby deserted island where you can have a day as a castaway on your very own piece of paradise the choice is yours. 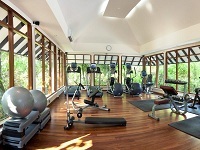 Other outdoor activities include flood lit tennis, badminton, volleyball and off island excursions. White sand under bare feet, a slow glide down a rose-strewn path towards lapping waves. The beat of the bodu beru drums playing your wedding march. Surrounding you, the beaming smiles of family and friends. You join hands. The sun starts to set, painting the sky for this perfect moment. Forever starts now. Here. In paradise. Create moments to last a lifetime. 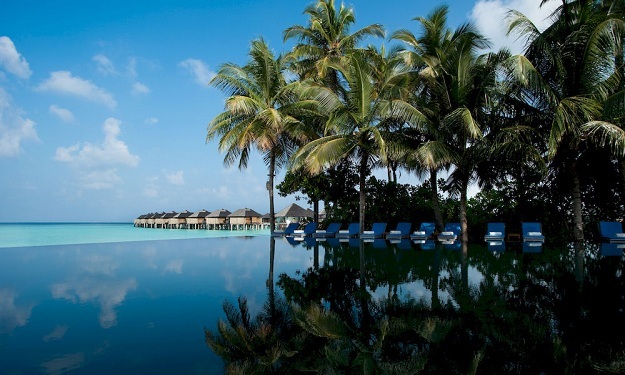 The Sun Siyam Iru Fushi offers an unforgettable setting to bring to life the wedding of your dreams. 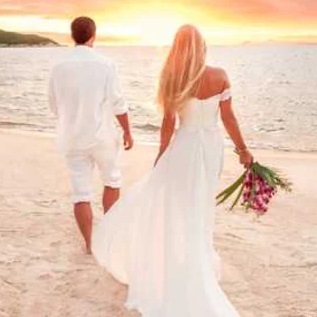 Whether you have come to the island for a wedding celebration or an intimate exchange of vows, you and your guests will find the beauty of the island paradise the perfect backdrop. The Sun Siyam staff bring heartfelt touches to every arrangement, every moment to be cherished. From rehearsal dinners on the beach, to family outings on the reef, to preparing for – and capturing – the magical day itself, the resort ensure the touch of dedicated perfection. Creating beautiful memories through unforgettable taste, with a cooking philosophy based on a healthy lifestyle. Retreat poolside for a traditional Indian dinner. Senses come alive with the exotic scents of spices and that fill the air. Taste the essence of the India with flavourpacked curries, delightful dhals and homemade infused naan breads. Family fun in the meandering pool, exploring its hidden enclaves and waterfalls. Popping out for a quick snack or a refreshing drink before diving right back in again. A family poolside snack bar deep in the heart of the island surrounded by lush foliage. Enjoy all-day delights such as oven-baked pizzas, gourmet sandwiches, light salads, mocktails and smoothies in a relaxed sunny setting. The setting sun glistens on the pool’s still surface, the surrounding foliage swaying ever so slightly in the breeze. Views of the incomparable Indian Ocean to be admired from the water, in the gardens, the al fresco dining pavilion or sundeck. An intimate adults-only retreat centred around the bar’s infinity pool, enjoy a sophisticated ambience offering a menu of gourmet light bites and two-for-one happy hour at sunset accompanied by soothing chill-out beats. Bar service from 08.00-22.30, with snacks served from 12.00-18:00. Please note that only guests aged 16 and above are allowed. Relaxing in the shade of the palms with a chilled glass of sauvignon blanc, the silhouette of fronds lining the Waters Edge. Lazing in the sand by the glistening lagoon, signature cocktail in hand and the rhythmic layers of jazz in the background. Wander over to Waters Edge for a relaxing drink and live entertainment. Showcasing an innovative drink list of tropical cocktails, speciality wines and beers, and refreshing smoothies and juices, enjoy all-day service from 8.00-1.00am. 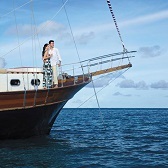 Revelling in chic and sophisticated surrounds, an exclusive and intimate overwater celebration. Perusing the champagne list on an iPad, wondering where the evening will take you. Featuring the finest selection of champagne and sparkling wines, including sought-after brands and limited edition vintages. Available by the glass or bottle. Pair with sumptuous canapés. The perfect start, or end, to any evening. Light fare to be enjoyed perched over the ocean, baby reef sharks gliding below. Exotic flavours of Thailand – spicy, sweet, tangy – to be explored and enjoyed. Choose from an array of authentic Thai dishes – noodles, soups, and flavouring curry; served on the deck between 12.00-3.00pm for lunch and 7.00-10.00pm for dinner. 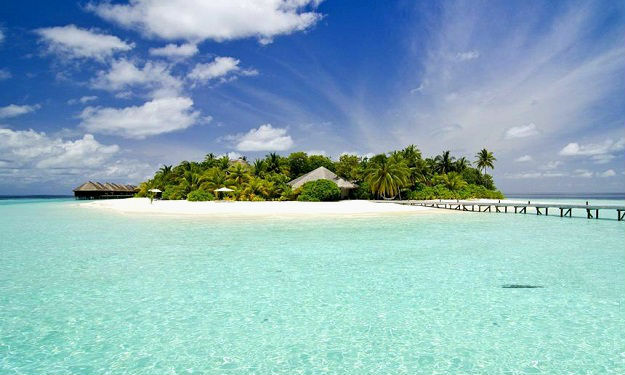 An inspirational setting, the island’s hidden gem. 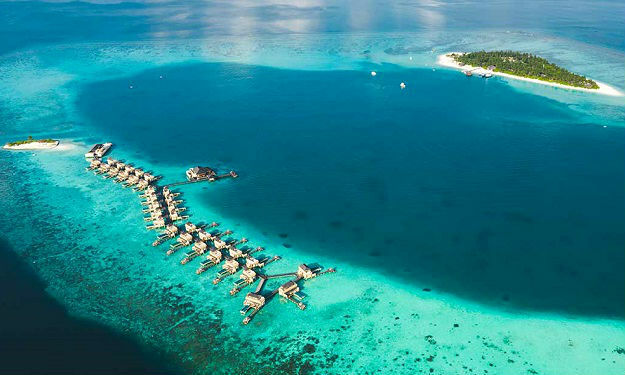 Sophisticated soirees guided by The Sun Siyam’s resident sommelier, a journey of discovery to be savoured. A space for intimate dinners surrounded by hundreds of bottles of rare vintages and champagnes, ocean views beyond. Each course is accompanied by the wine sommelier’s carefully chosen recommendation, each bite and sip bound to delight. Laid-back oceanside dining with a mix of local ingredients and enticing Italian flavours. Featuring various seating levels over the lagoon, enjoy expertly crafted cocktails complemented by a mouth-watering selection of classic and contemporary gastronomic creations. Enchanting surroundings with contemporary flair. Freshly caught fish from the colourful atolls. Prepared with precision and bold flavours. 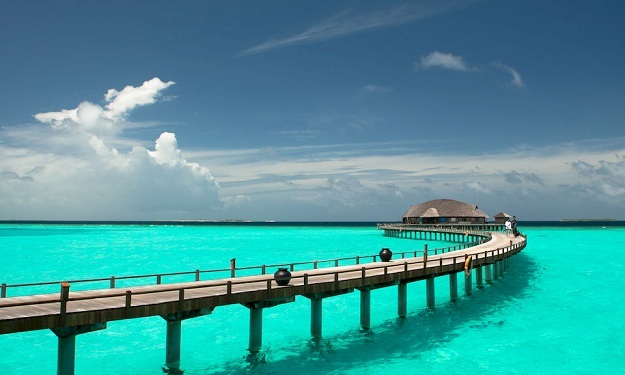 Knowledgeable service with all the warmth the Maldives has to offer. 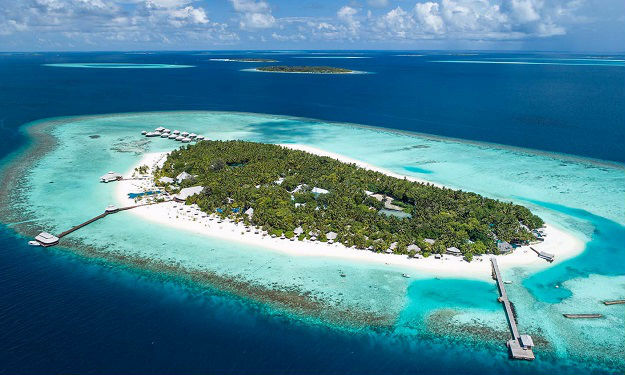 Serving sumptuous seafood with a charming Maldivian infusion, the casual beachfront setting artfully pairs local favourites such as Maldivian lobster and yellowfin tuna with the finest Old and New World wines. 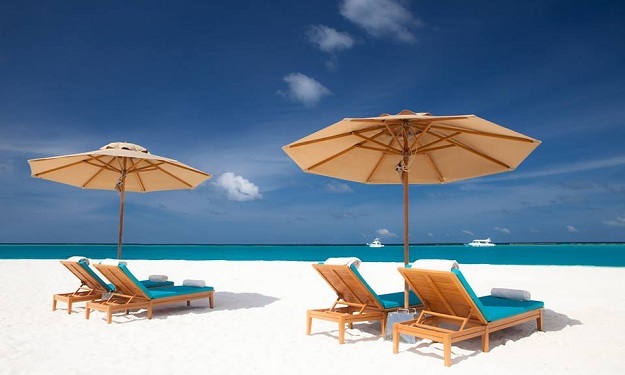 Relax with the gentle sounds of the sea, a crisp Sauvignon and toes buried in the soft white sand. 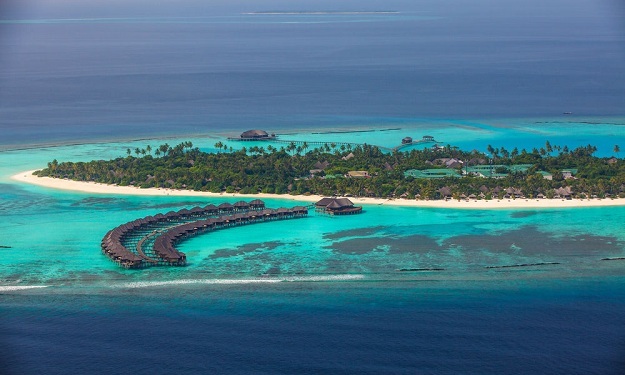 A stunning overwater restaurant boasting panoramic views across the Indian Ocean. Innovative French cuisine created from delectable ingredients. Pair a romantic meal under the moonlit sky with fine wines from The Cellar. Start the day at Iru Restaurant with a casual buffet breakfast from 07.00 - 10.30. The elegant spread ranges from organic fruits and smoothies to hearty English breakfasts, Asian comfort food and freshly baked pastries. Dinner is served between 18.30 - 22.00. 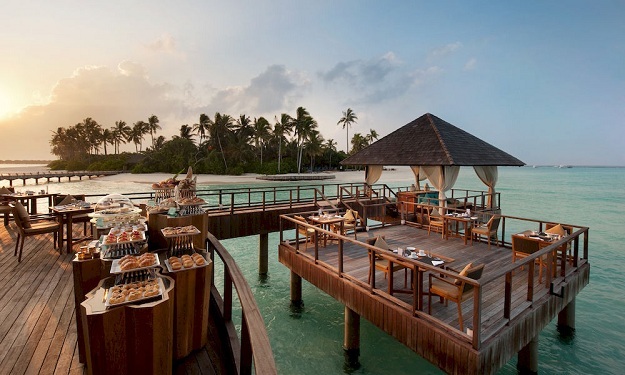 Look forward to a different cuisine every night of the week, from Maldivian seafood specialities to homemade pastas and pizzas, each tailored to your preferences by obliging chefs.